This was one of my favorite engagement sessions. These kinds of clients make me love being an Arkansas Photographer! Shu and Bryan were so much fun. 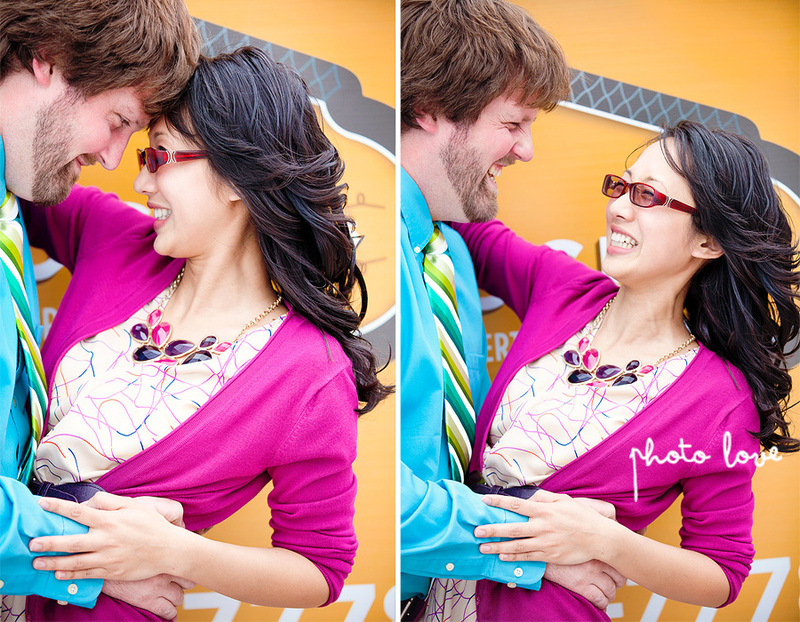 They were laughing and joking around the whole time, which makes me love me job ; ) Shu and Bryan met me at the Photo Love studio here in Bentonville and then followed me to our woodsy outdoor location. When I first saw Bryan and Shu's bright colored outfits I wanted to use brightly colored backgrounds to make it even more fun. Shu brought along a neat vintage bike and a sweet black picture frame she got from Ikea, and a couple mustaches to top it off. These are definitely my type of clients! Both Shu and Bryan could not stop laughing the whole time. It was great! I love to see couples who enjoy being together this much! 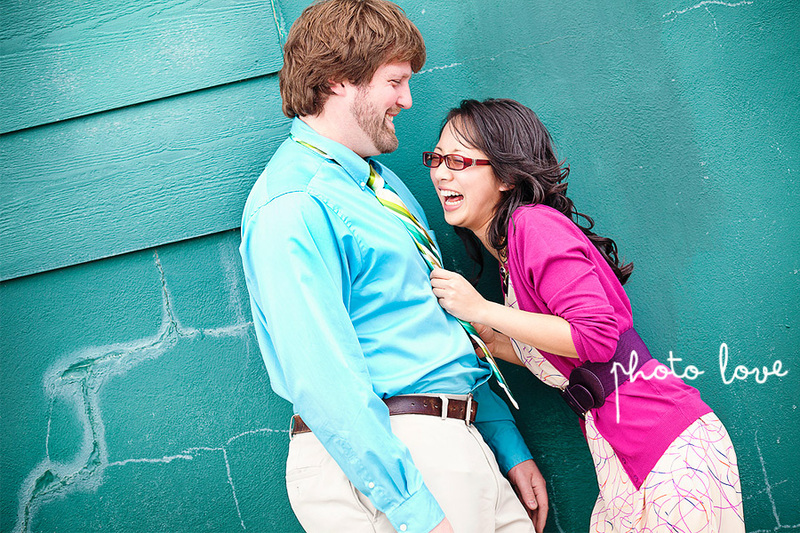 Shu Lan and Bryan will be married at the Garden Room off Dickson Street in Fayetteville. I am really looking forward to their wedding!